Leftover salad that tastes even better the next day? Yes, it’s possible. For many foodies, kale salad is “so last year,” but when it comes to your health this is not a recipe that should be taken out of rotation. In every serving (1 heaping cup) of the Fall Kale Salad recipe below, there is 4 days’ worth of vitamin A, nearly 3 days’ worth of vitamin C, 20% each of your daily calcium and iron, 7g each of daily protein and fiber needs, 377mg of omega-3’s, and nearly half a months’ worth of vitamin K! 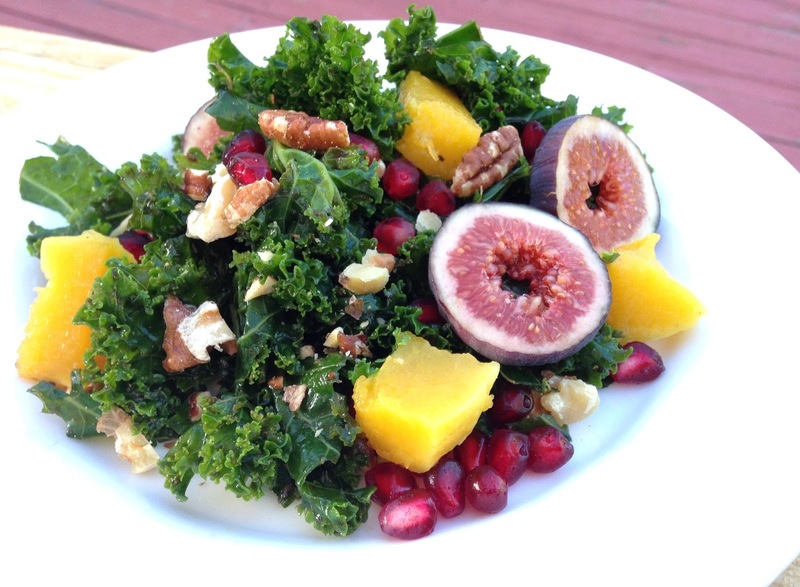 Kale is also a good source of B vitamins (including folate), magnesium, and potassium. As is usually the case, the recipes I post are a product of what is in season locally (including what is growing in my yard) and what is leftover in my refrigerator or stocked in my pantry. Don’t give up on the recipe if you don’t have all of the ingredients or they are expensive in your area! Below the recipe is a long list of substitutions that you can use to tailor this recipe to your taste, the season, and the ingredients you already have (or easily have access to). Happy cooking and healthy eating! 1. Rinse kale and dry with a salad spinner or towel. Fold kale leaves in half so that the ribs are on one side and the curly part of the leaf is on the other; slice the ribs off with a knife and discard. Chop the leaves into roughly 1-2” square pieces and put into a large mixing bowl. 2. Drizzle kale with the vinegar, sweetener, and oil. Sprinkle with some salt and pepper, then “massage.” This means grab handfuls of the kale mixture, make a fist to crush the leaves in you hand, then release. Repeat until all leaves are glistening and the volume of kale in the bowl is reduced by 1/3-1/2. Add more salt and pepper midway through this process. 3. Taste one of the pieces of kale and adjust with vinegar, oil, salt and pepper until you achieve a flavor that tastes good to you (i.e. if too acidic add more oil, if not acidic enough add more vinegar, if the flavor doesn’t stand out after that add a bit more salt and pepper). As with all salads, you should have enough dressing just to coat the leaves but not pool in the bottom of the bowl. 4. Mix in toppings and serve. Storage: This salad tastes great for 2 days after you make it, so make it ahead or make extra to take for lunch the following day. Below are substitutions that you can make to the salad recipe above to create different flavors or make use of other ingredients you have at home. 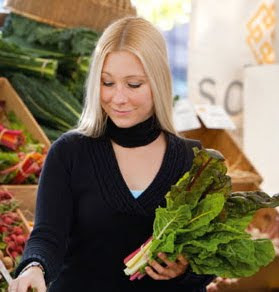 o Swiss chard, other types of kale, or shredded collard greens. o Lemon/lime or orange juice, or other vinegars. o Agave, honey, different jam, brown sugar, maple syrup. o Dijon or whole grain mustard, tahini or nut butters, herbs, spices. o Other nuts or seeds (pine nuts, sesame seeds, shaved coconut, macadamia nuts, almonds, hazelnuts, cashews). o Croutons, fried strips of tortillas or wontons.